Often when people come to visit Japan they do so on a short time frame so they only get to see the big cities. Tokyo is one massive urban sprawl so I like to try and show our visitors what Japan is like outside of the city! 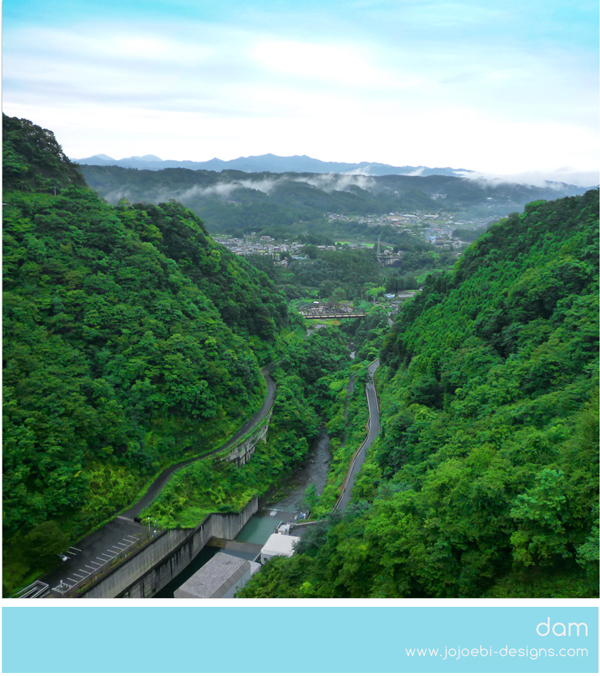 Something like 80% of Japan is covered in thick forest and is really green. 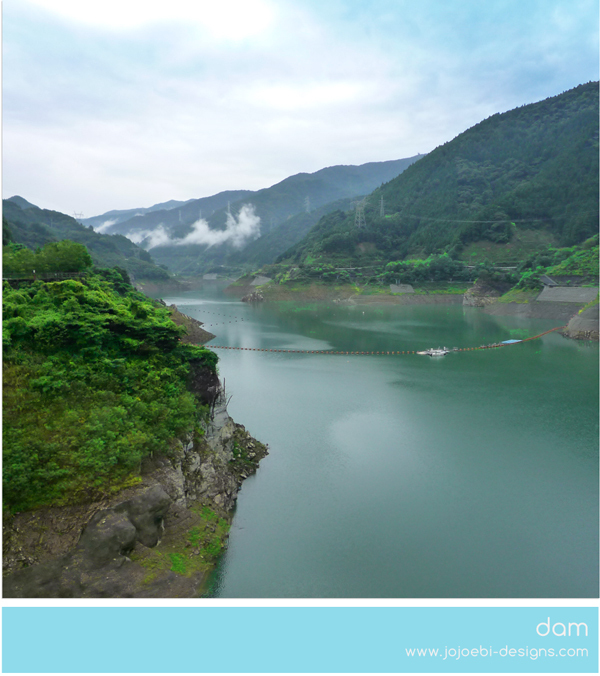 This is the area we were camping in, I took the pictures from the dam. Not the best picture, but I love this tunnel! 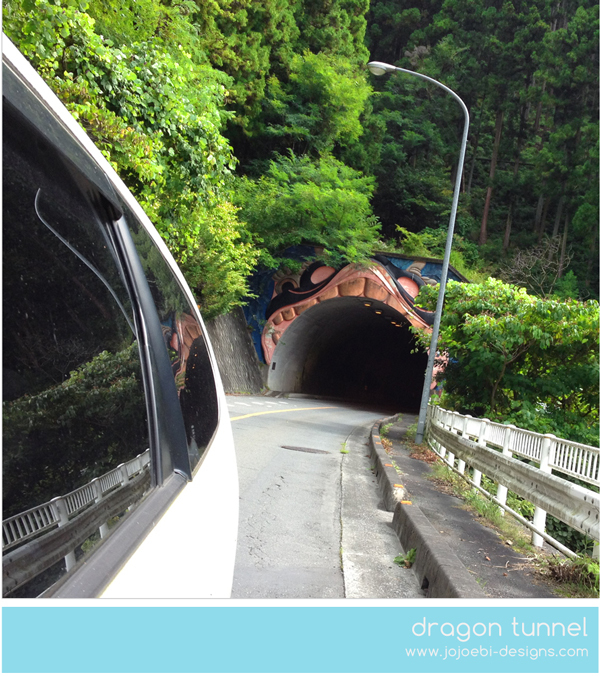 It was like being swallowed by a dragon, we thought the other end should have been decorated as a dragons bum lol. But I suppose that would be weird driving into it! 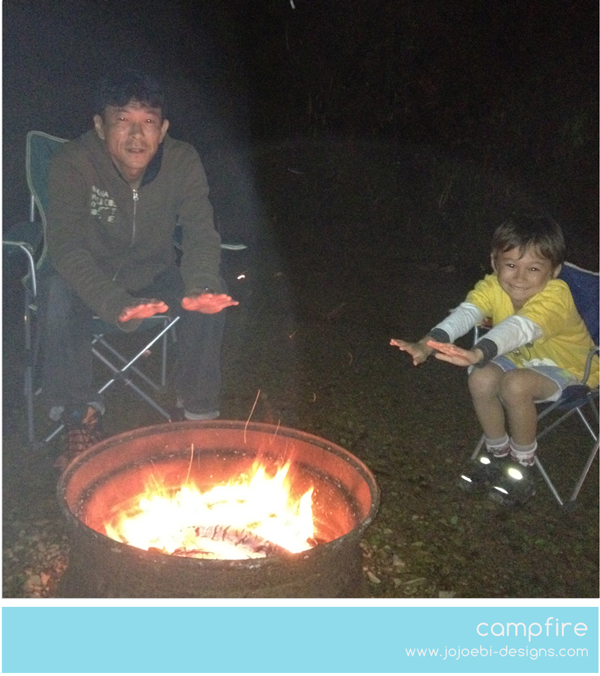 Ebi-kun's camp highlight was having a real fire. Not many of the campsites allow you light real fires but here it was encouraged, so we cooked dinner on the open fire. Nothing fancy, we skewered sausages - the best sausages Ebi-kun has EVER had apparently! I also did veg in foil, just chopped up veg then sprinkle on a cuppa soup and add a lithe water, wrap up and put in the hot embers. Yum. It did get a bit chilly at night so it was good to to have the fire. Of course we had to finish with s'mores, this time we used chocolate digestives and marshmallows, worked a lot better. 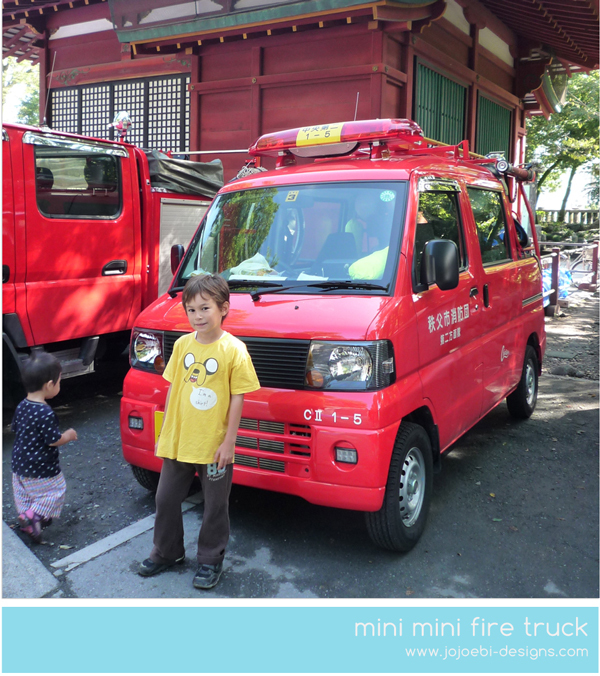 And a couple of random pictures, first is the smallest fire truck ever! It did have a hose and ladder on the back, just about Ebi-kun's size. Plus a random t-shirt, if you know what this means, leave me a comment, I haven't a clue! Those are lovely images, hope one day I could visit Japan!! 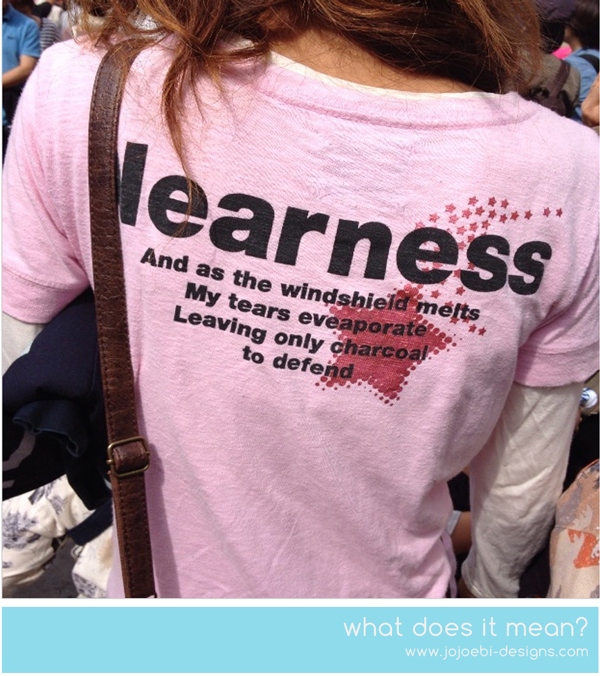 are they pink Floyd lyrics?